SOFIA, BULGARIA – World Jewish Congress CEO and Executive Vice President Robert Singer today hailed the ‘bonds of friendship’ between the Bulgarian and Jewish people upon receiving the First Degree Order of the Madara Horseman - an award bestowed by the President of Bulgaria upon Bulgarian and foreign citizens who have made an especially significant contribution to the establishment, strengthening and development of bilateral relations with Bulgaria. The award was given in recognition of the efforts undertaken by WJC to strengthen ties between Bulgaria and the Jewish people. 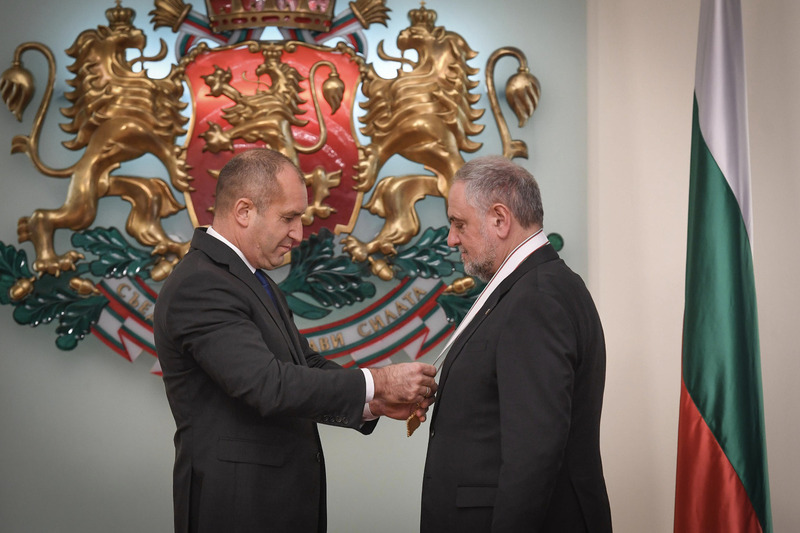 The ceremony took place as part of a broader schedule of diplomatic meetings which included talks with the President of the Republic of Bulgaria, Mr. Rumen Radev, Prime Minister of the Republic of Bulgaria, Mr. Boyko Borisov, and the Mayor of Sofia, Mrs. Yordanka Fandakova, during which a number of issues of mutual concern were discussed. 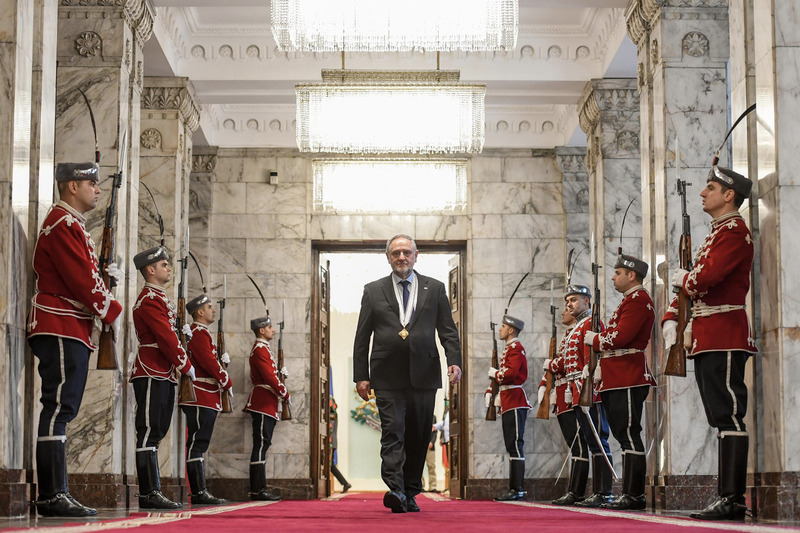 A Memorandum of Understanding was subsequently signed between the Bulgarian Ministry of Defense, WJC and the Organization of Jews in Bulgaria ‘Shalom’ to facilitate cooperation and the exchange of information in the fields of combatting antisemitism and strengthening the security situation for the local Jewish community. The bonds of friendship between our two peoples are unshakable. This also finds expression on the bilateral level, where the cooperation between Israel and Bulgaria are expressed in innumerable ways. Both the World Jewish Congress and myself are especially gratified by the revival of the Jewish community here and actively committed to fostering its continued wellbeing. It is for this reason that the Memorandum of Understanding signed by the Government, WJC and the local Jewish community is of the utmost importance.